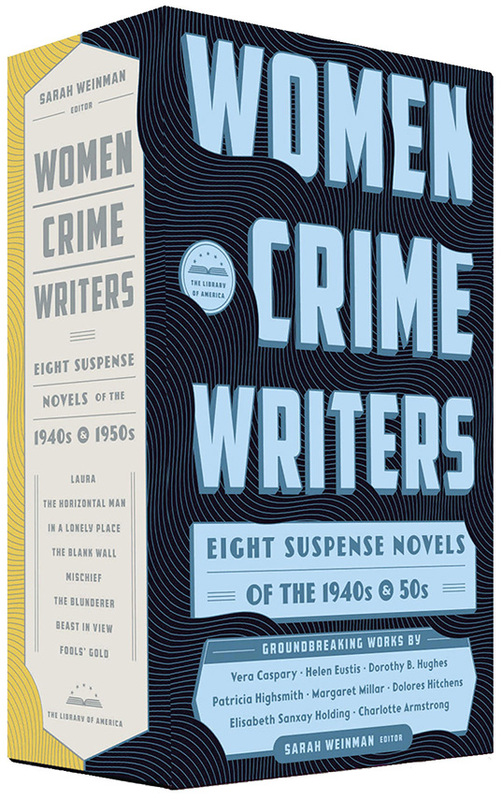 One week from today, The Library of America proudly publishes Women Crime Writers: Eight Suspense Novels of the 1940s & 50s, a two-volume collection of eight pioneering novels from the mid-twentieth century that are overdue for rediscovery. 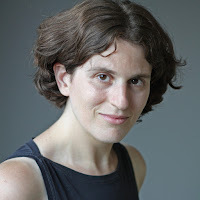 Sarah Weinman, widely recognized as an authority on crime fiction, edited the anthology; in the guest post below, she describes how the project came about, what it means for her personally, and its significance for our understanding of women writers in the American noir tradition. Several years ago, I looked at my bookshelves and realized that the most compelling and creative American crime fiction was being written and published by women. One need only look at recent best seller and awards lists to see example after example, from Gone Girl by Gillian Flynn to The Fever by Megan Abbott, Coptown by Karin Slaughter, and Hush Hush by Laura Lippman. They explore American society, the desires and anxieties of women, and the ways in which anyone could be capable of murder with a surgeon’s precision, a psychologist’s understanding, and hidden reserves of empathy. Why weren’t these women getting their due? Why were their male counterparts, such as Dashiell Hammett, Raymond Chandler, Ross Macdonald, and Elmore Leonard, showered with accolades and acclaim, and they were not? It is my greatest pleasure, as editor of Women Crime Writers: Eight Suspense Novels of the 1940s & 50s, to introduce twenty-first-century readers to eight masters of the genre, part of a literary heritage they may not have realized existed or are eager to learn much more about. If you’ve seen the wonderful film noirs Laura and In a Lonely Place, prepare to be blown away by the original novels by Vera Caspary and Dorothy B. Hughes. After reading The Blank Wall by Elisabeth Sanxay Holding, you may wonder how far you’d go to protect your daughter from murderous ruin. And you’ll never look at a college campus in quite the same way once you’ve read The Horizontal Man, the Edgar Award–winning novel by Helen Eustis. As for our choices from the 1950s, two of the mystery genre’s greatest practitioners, Charlotte Armstrong and Margaret Millar, present graduate-level clinics in madness and suspense with Mischief and Beast in View. Patricia Highsmith's The Blunderer is not only a major novel but an important precursor to her quintet of Ripley novels. Finally, we’re proud to introduce a new generation to Dolores Hitchens with Fools’ Gold, a tale of delinquent teens and a heist gone very, very wrong. Women Crime Writers tells a story about crime fiction you may not have been aware of before. But it’s a story that needs to be told, and I am honored to be part of the telling. Sarah Weinman is the editor of Troubled Daughters, Twisted Wives: Stories from the Trailblazers of Domestic Suspense, which the Los Angeles Review of Books called “simply one of the most significant anthologies of crime fiction, ever.” She is the news editor for Publishers Marketplace, and her work has appeared in The New York Times, The Wall Street Journal, the National Post, and The Washington Post, among other publications. Click here for her Women Crime Writers book tour schedule. Visit the special Women Crime Writers companion website for complete information on the eight novels and their authors, along with appreciations by contemporary writers and a wealth of contextual material. I was excited about this upon first announcement, and am even more geeked that the two volume set is enroute. Thank you for putting these books together. I can't wait to read them!